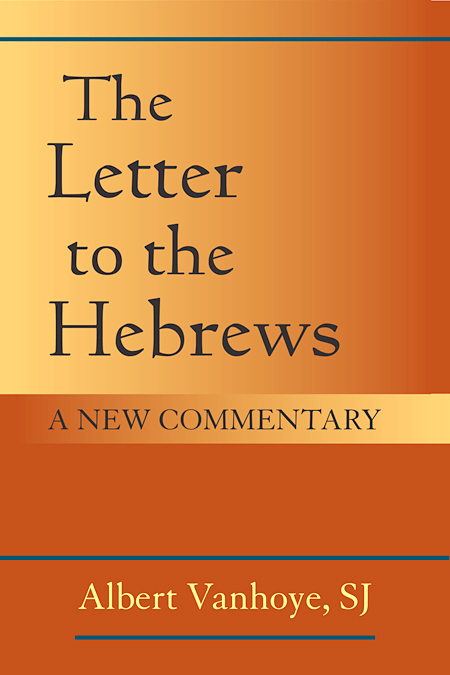 Albert Vanhoye, The Letter to the Hebrews: A New Commentary, trans. Leo Arnold (New York: Paulist, 2015). Serious academic students of the book of Hebrews are familiar with the work of Vanhoye and especially his seminal studies on the structure of the book. So it is with some anticipation that one dives into this commentary, some of which is derived from his earlier 2010 L’Epitre aux Hébreaux: Un prêtre différent (p. ii). Although there are several ways to examine this commentary, it might be helpful to begin with what it is not. This commentary is not a devotional commentary. There are very few, if any, devotional thoughts here. Nor is this work exegetically critical. While it does interact occasionally with the Greek text, it does not do so consistently. This work does not interact much with other commentaries or secondary literature. I counted only 14 footnotes and only eight of those refer to other sources. The bibliography is brief (2½ pp. ), with about half of the entries related to the author’s own work. But these comments are not intended to imply that Vanhoye is not exegetically capable or critically unaware. His previous scholarship and insightful remarks throughout imply otherwise. This volume is not really for the casual lay-reader. Keeping this in mind, what Vanhoye has written is a readable, helpful volume that provides a penetrating analysis of the text. Commentaries are not typically like novels where ideas can creep up on you, but every now and again this commentary would surprise me with a simple yet profound insight on the text. Two examples might suffice. The first is from remarks on 1:10 and the second related to 4:12–13. What is astonishing is that the author does not hesitate to ascribe to the ‘Son’ what Genesis ascribes to God. In the exordium he showed the Son as the mediator of creation (Heb 1:2), as do other texts of the New Testament also (John 1:2; 1 Cor 8:6; Col 1:16). Here he goes further; he shows the Son as author of creation. No stronger statement in the whole of the New Testament concerning the Son (p. 67). It may be noticed here that the author inverts the order of the judicial proceedings, which normally start with the inquiry, continue to the judgment and the sentence, and end with the execution of the sentence. On the contrary, the author speaks first of the sword ready to carry out the sentence; then he talks about judgment, and at the end he has some reflections on the capacity to make the inquiry (pp. 94–95). I like this commentary and am glad to have it in my library. But I am not sure where it fits within the numerous volumes on Hebrews available today. It will not likely be the resource one turns to for in-depth exegetical study, nor is it suited for devotional study. So it will likely be most useful as a supplementary resource for those who enjoy studying Hebrews. Thanks to the kind folks at Paulist Press for providing the volume used in this unbiased review.